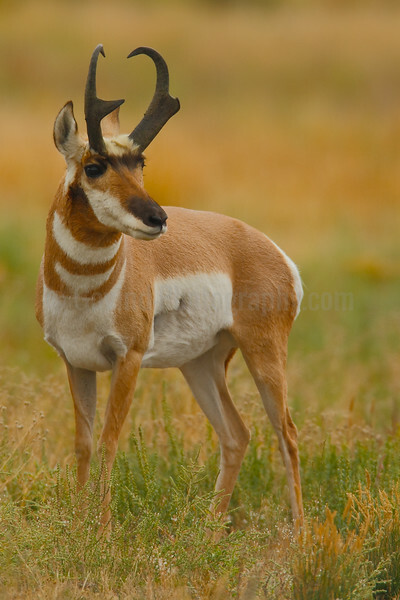 A pronghorn antelope surveys his territory at Yellowstone NP. I saw this male chase out a rival from that area earlier. He has just marked it and looks around to make sure there are no more contenders. The soft morning light and typical western prairie frame his alert pose. 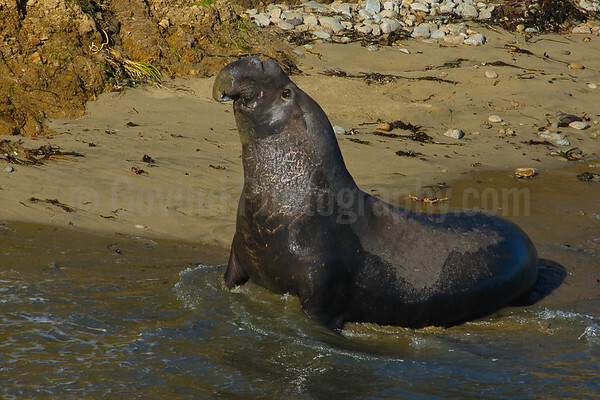 An elephant seal pup snarls as it rests at Point Reyes National Seashore. I was visiting the area with family and came across a small group of the seals by the trail. It gave me some opportunities to photograph them at close range. The pup's relaxed demeanor suggested this was indulging in posturing and playful mock aggression. 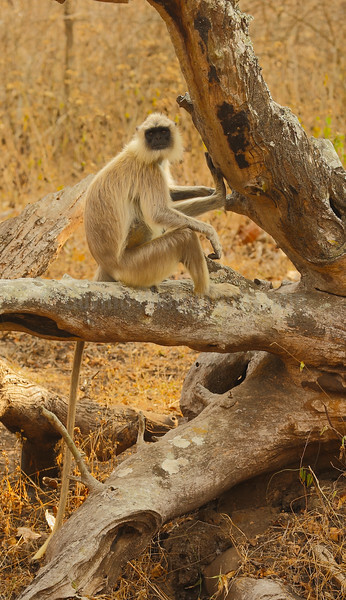 A magnificent male langur watches me from a fallen teak tree at Mudumalai forest sanctuary. The filtered evening light highlights his glossy coat in typical forest setting. 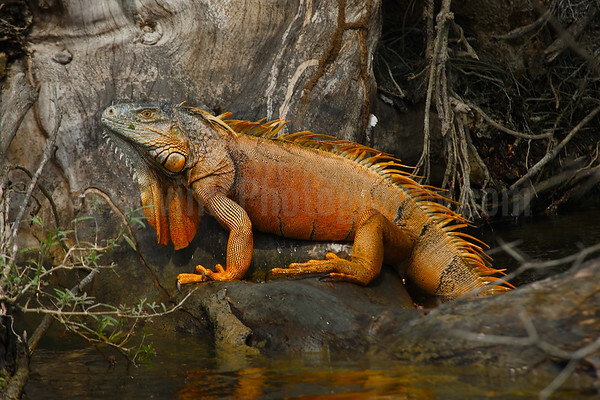 A magnificent green iguana in its breeding colors rests on the bank of the New River in central Belize. These can grow to over five feet which posed a problem for me to frame it standing on a rocky boat. 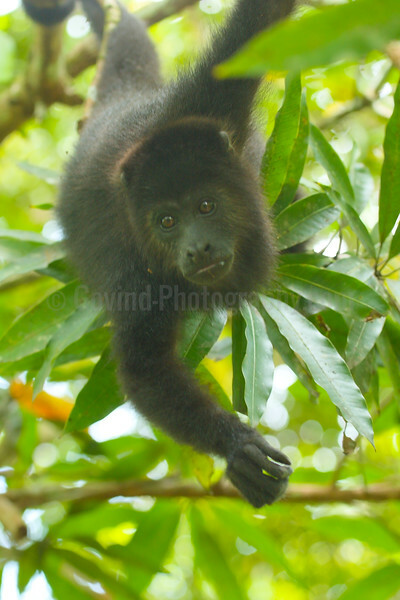 A curious black howler monkey youngster examines my camera at the Baboon sanctuary in central Belize. The monkeys at the sanctuary are somewhat acclimatized to human presence and can be viewed close by. Photographing them, though is more difficult, given their high level of activity and the low light in the forest. On a hike in Utah's Wasatch mountains during mid-summer, my wife and I noticed pikas gathering food and material for their burrows. Occasionally one of them would pause over a rock to look at its surroundings. 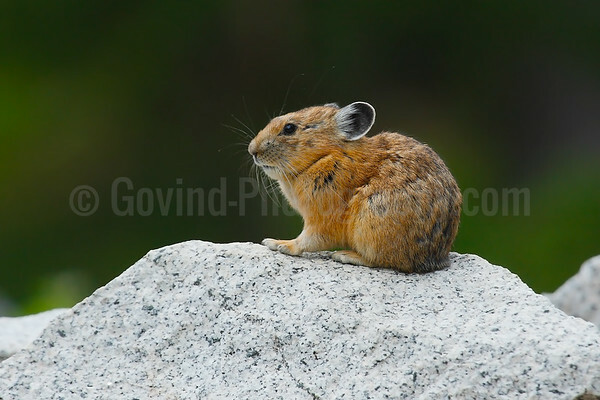 I liked the alert pose, the granite perch and dark background that framed the pika. 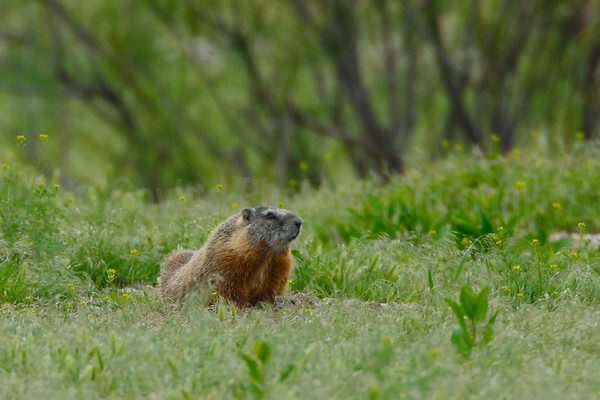 This male marmot was digging a burrow for his upcoming family near the Bear River migratory refuge. Early summer blossoms and background tree trunks provide a picturesque setting for the image. 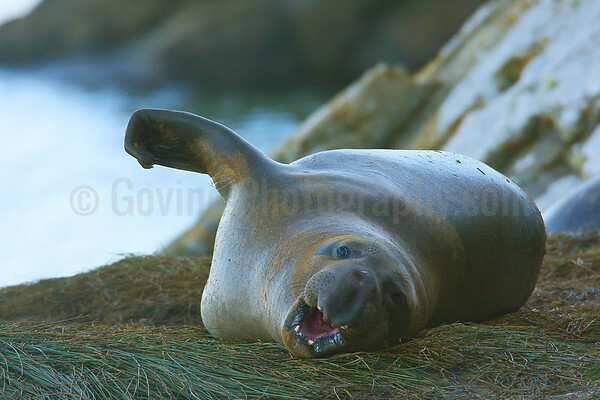 A bull northern elephant seal gets up to stretch in the morning. 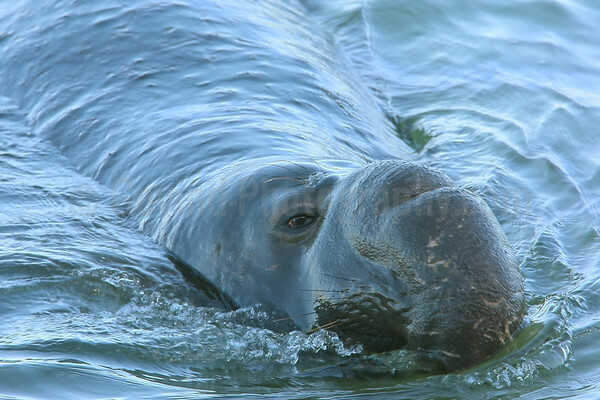 The seals return to land early in winter to mate and give birth to pups. 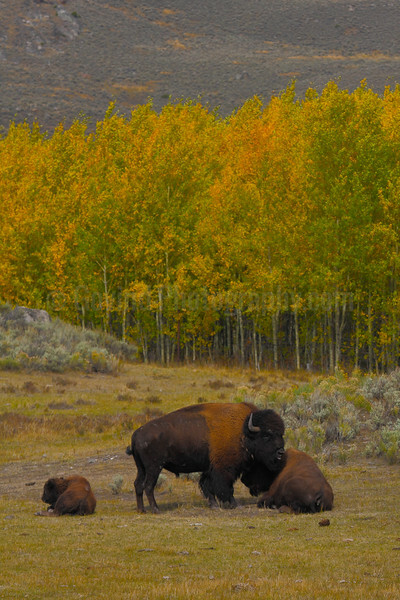 A bison family, part of a large herd, rests in Yellowstone NP during early fall. Isolating frames like this in large herds captures a different and intimate scene we may not otherwise notice. 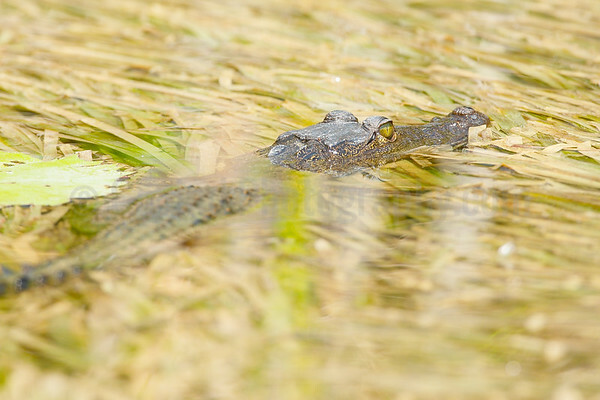 In the Yucatan Mayan parlance, Lamanai means "submerged crocodile". Lamanai is also the site of one of the first discovered Mayan ruins. Coincidentally, on a river trip to see the Lamanai ruins, we passed by a baby crocodile hiding under a bed of leaves in the water. 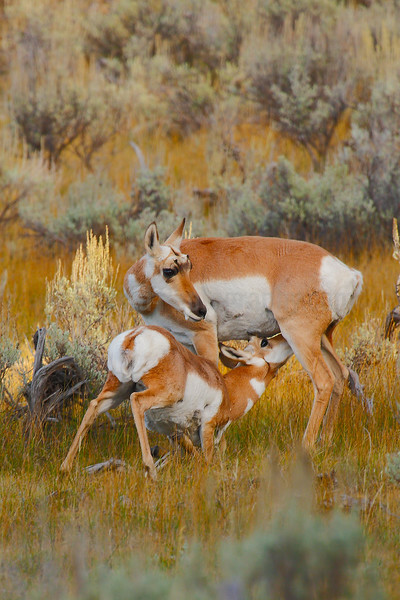 A pronghorn doe feeds her young at Yellowstone NP. While the dominant buck was chasing away a rival., it was interesting to see rest of the herd go about their normal activities. The soft evening light and surrounding sage brush prairie created a picturesque setting for the image. 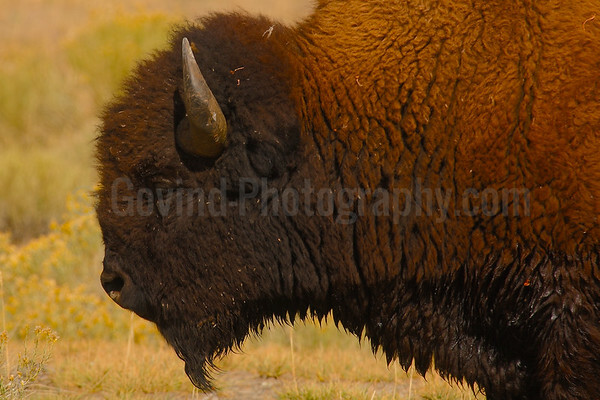 Yellowstone NP provides a great setting for closeups of iconic species such as this male American bison. The light is also special, particularly in the mornings and evenings, and with open prairie setting, creates opportunities for dramatic images. 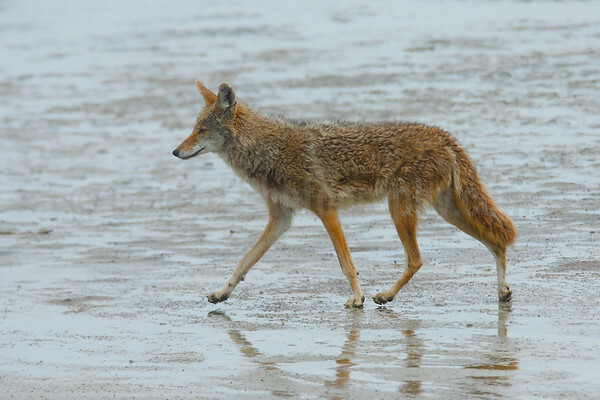 A coyote scours the Great Salt Lake coast looking for foraging shorebirds. Most Americans see coyotes are seen as pests, and a threat to livestock and pets. In reality though, they are a critical part of the ecosystem and keep many small animal, bird and rodent population in check.